X-Force Red is an autonomous team of veteran hackers, within IBM Security, hired to break into organizations and uncover risky vulnerabilities that criminal attackers may use for personal gain. 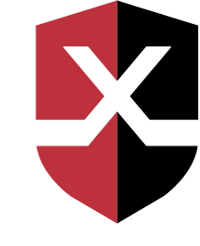 X-Force Red offers penetration testing and vulnerability management programs to help security leaders identify and remediate security flaws covering their entire digital and physical ecosystem. X-Force Red can do whatever criminal hackers can do, but with the goal of helping security leaders harden their defenses and protect their most important assets. Get to know our hackers and the innovative work they do to help organizations strengthen security and minimize risk. Create and manage an offensive security testing program using our cloud-based collaboration and communication platform. X-Force Red can test networks, applications, hardware, personnel, devices, ATMs, airplanes, cars and much more. Rise of the thingbots. Learn how cybercriminals are populating botnets with easily exploitable IoT devices.